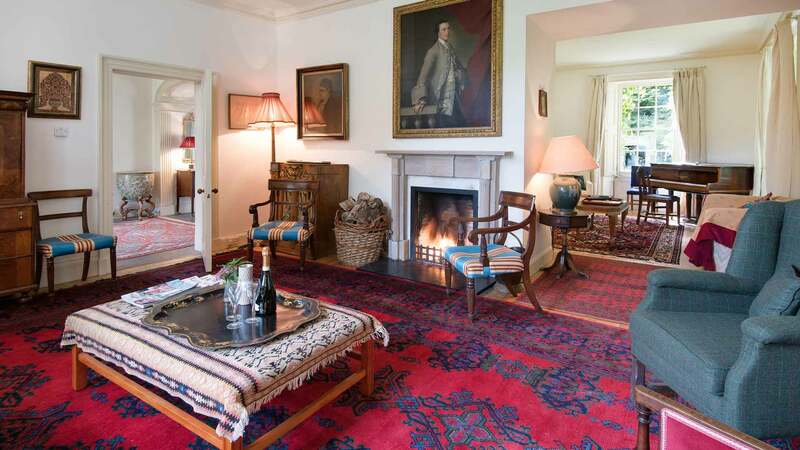 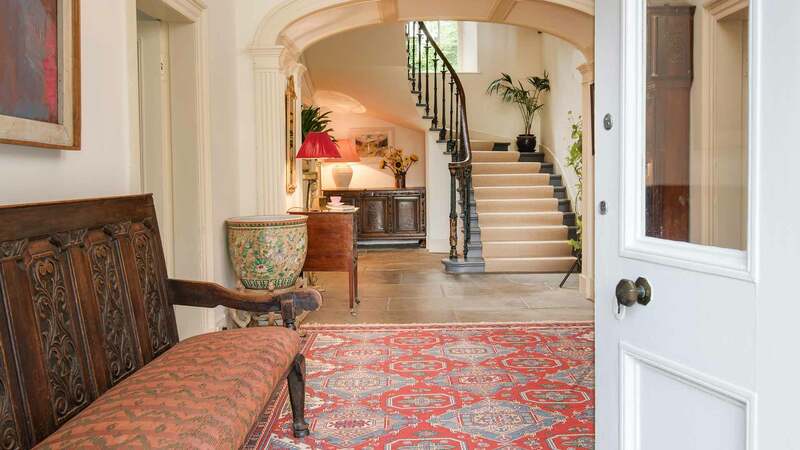 A classical Georgian style farmhouse, Howford sits in an elevated and private position overlooking the River Tweed and in the heart of the Tweed Valley. 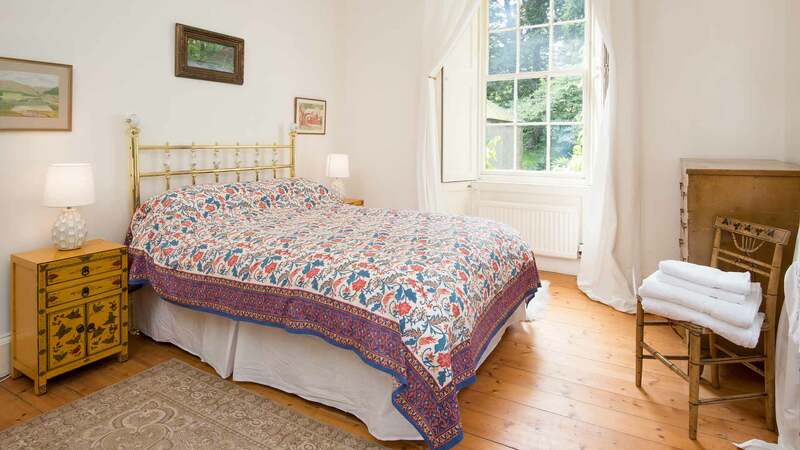 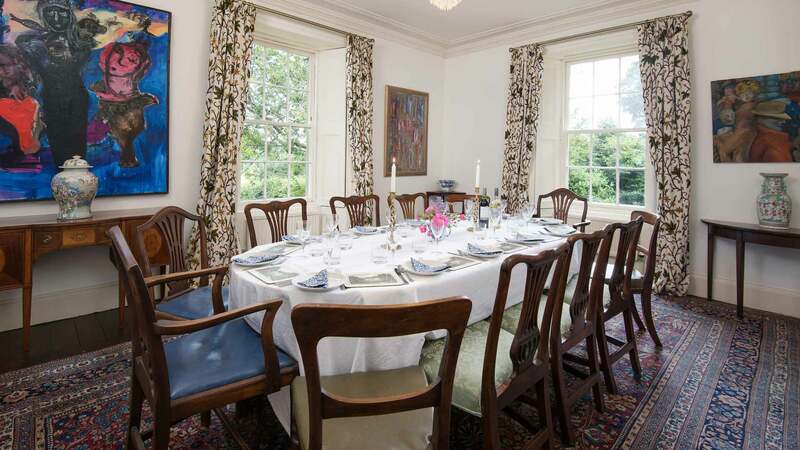 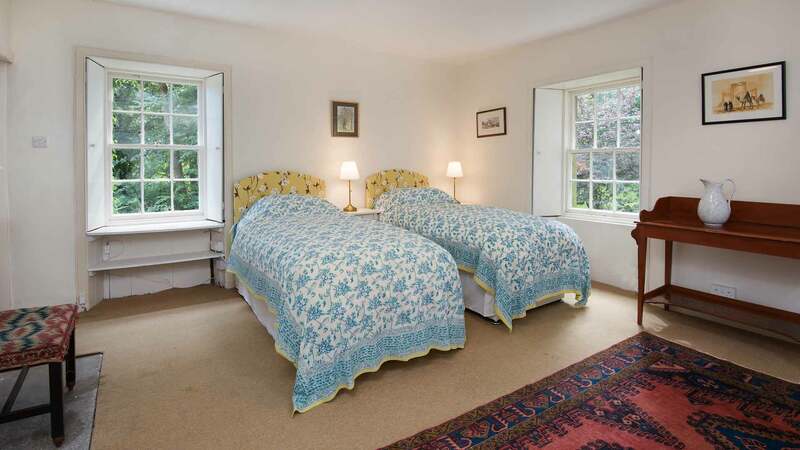 Five miles from the picturesque market town of Peebles and 50 minutes to Edinburgh, this is a relaxed country home suitable for family gatherings, reunions, celebrations and small weddings, which can be held at neighbouring Traquair House. 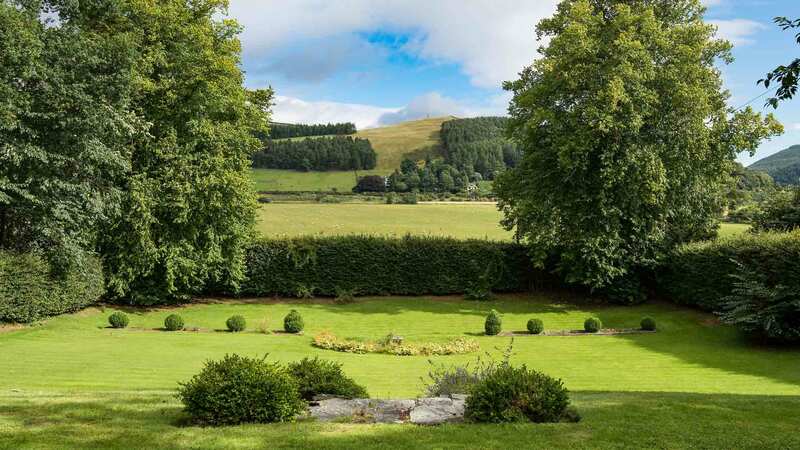 Part of the Traquair Estate, Howford is a 10 minute walk to Traquair, 'Scotland’s Oldest Inhabited House' plus Traquair House offers a range of exclusive features to guests staying at Howford, including dinner in the eighteenth century dining room, use of the tennis court and free entry to the house and grounds. 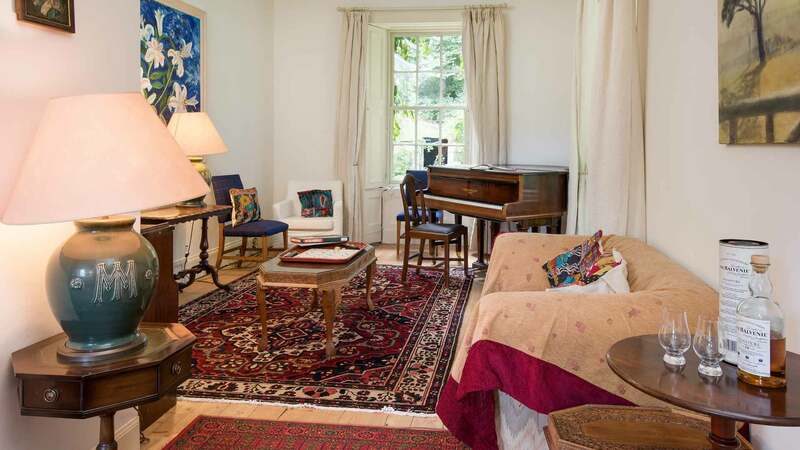 The house has recently been renovated and is furnished with antique furniture and a stunning collection of modern art, yet still retains many of its original features. 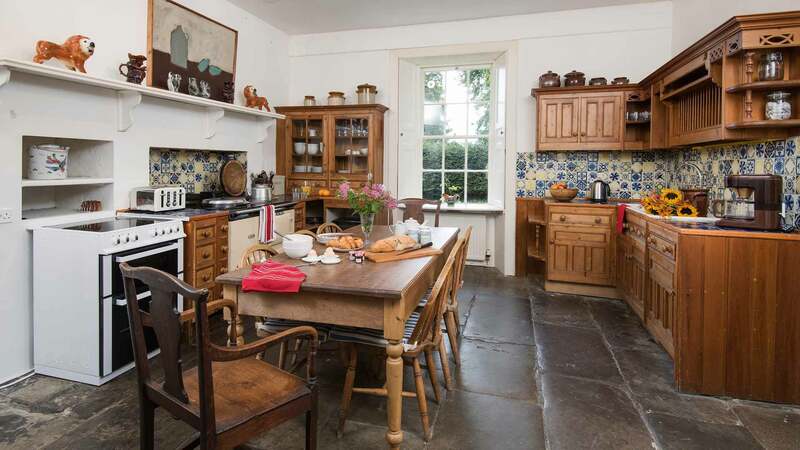 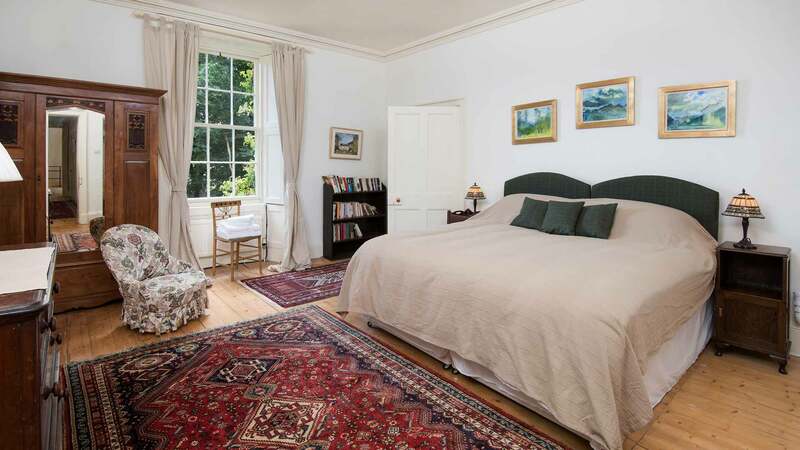 The rooms are large and spacious with an elegant drawing room and snug downstairs, formal dining room and large farmhouse kitchen, complete with aga as well as electric cooker. 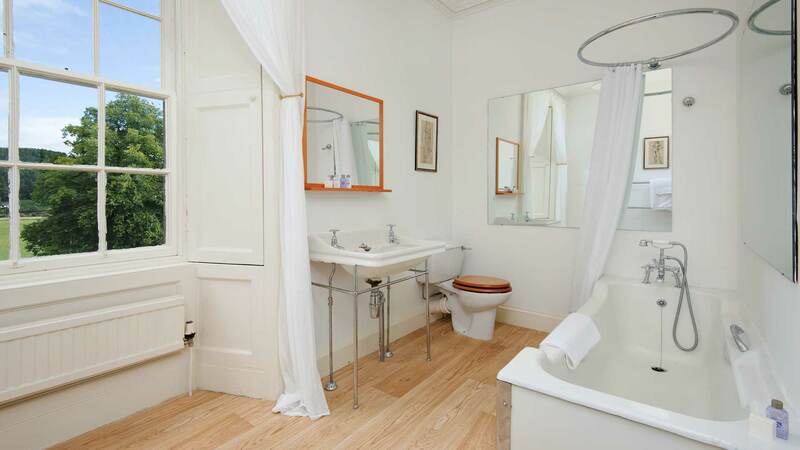 There is also a large utility room with ample spacing for washing and drying clothes. 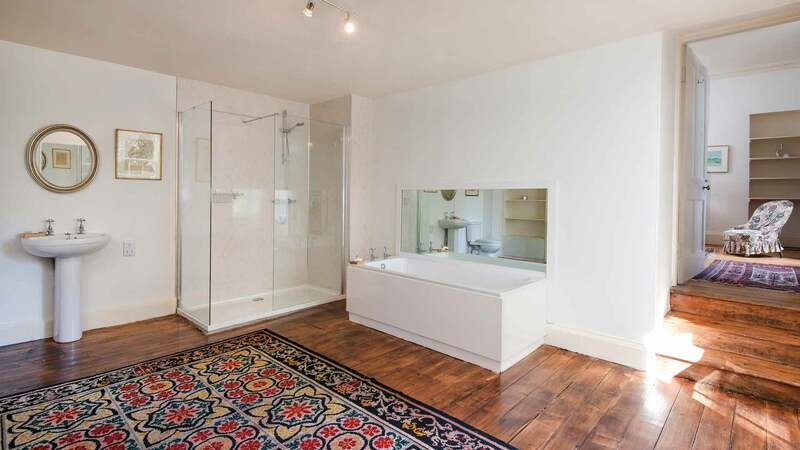 On the ground floor there is a fully accessible bedroom with a ramp to the entrance and accessible shower/bathroom. 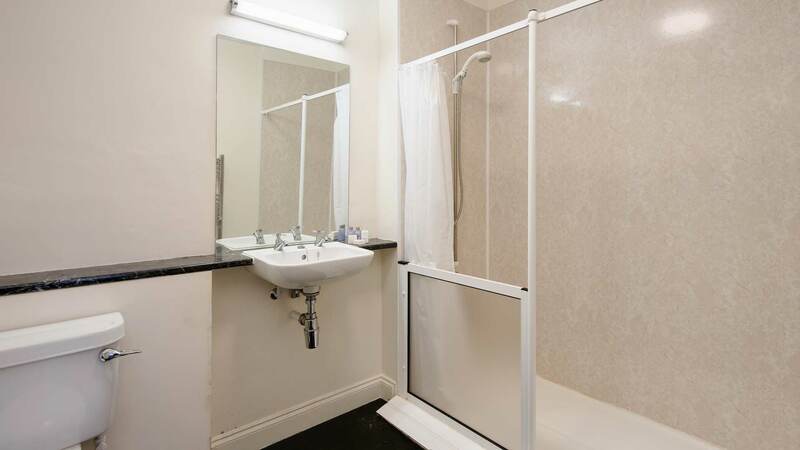 The ground floor is fully accessible for wheelchair users. 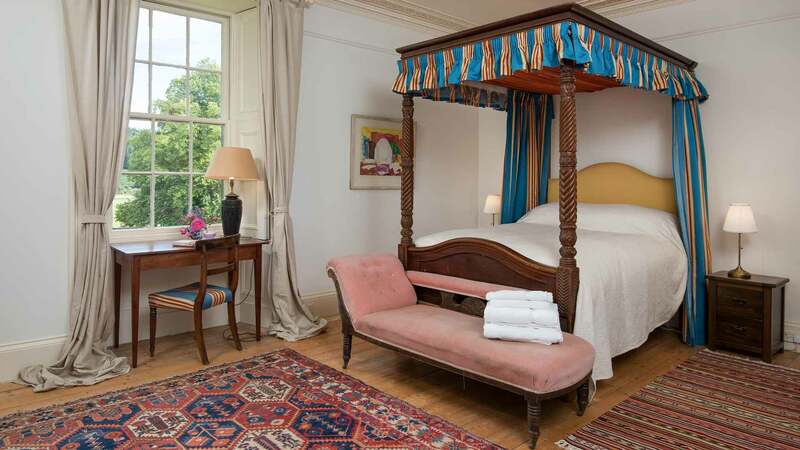 Upstairs there are five well apportioned bedrooms, all with luxurious beds including a four-poster and a further two bedrooms in the rear wing, all with large zip and link beds that can be converted to twins or king size doubles. 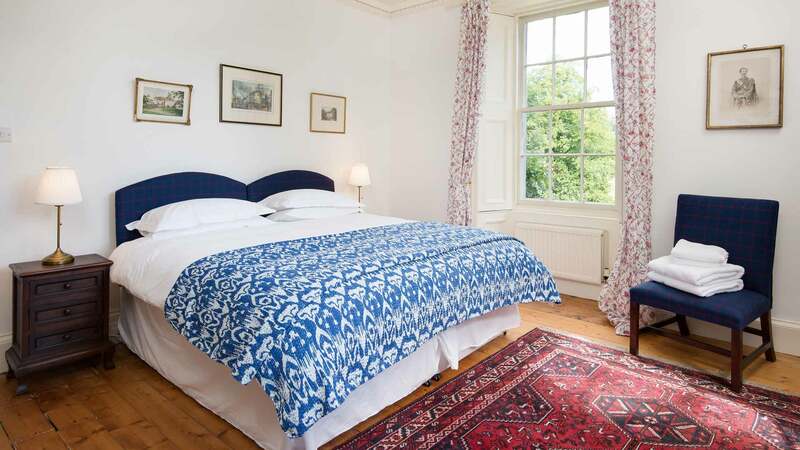 On the third floor there are two large attic rooms with their own bathroom that can sleep up to 4 people, ideal for children or teenagers who want to be self-contained. 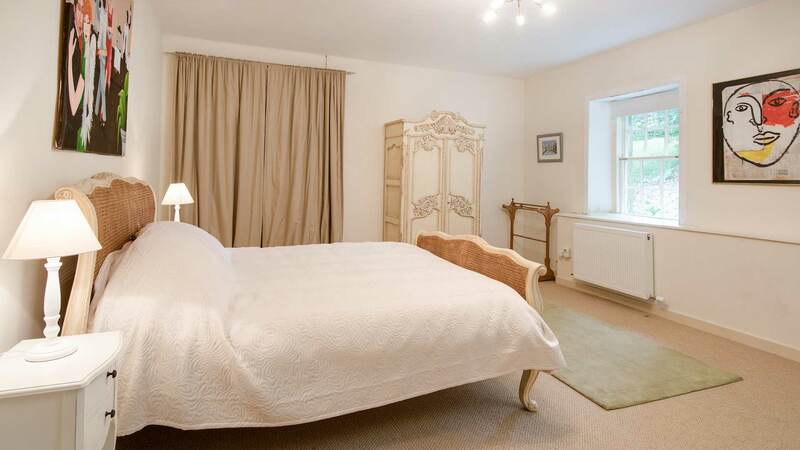 There is a wealth of amenities and attractions nearby, including the world famous mountain biking forest of Glentress, an 18 hole championship golf course and 9 hole course at Innerleithen, wonderful walking and trout/salmon fishing.